Japanese brands Shu Umera and Shiseido are household names around the world but there are many more awesome Japanese brands on the market. 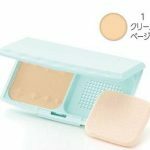 We've tried out Korean ﻿f﻿oundations, Korean bb creams, Korean cushion compacts and now we've found the best Japanese foundations for you! We let you know if the pencil comes with a spoolie for you to brush your little eyebrow hairs! Is the tip of the pencil, oval, square or rectangular? 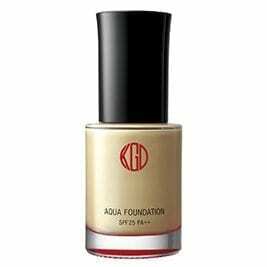 Koh Gen Do's Maifanshi Aqua Foundation is a super premium foundation made in Japan. It is a liquid foundation and has SPF25 and a PA++ . It gives you that youthful, dewy skinned look that they love so much in Asia: with reduced fine lines, minimized pores and brightened skin. Botanical extracts and emollients ​are featured along with minerals harvested from deep waters of Bretagne. 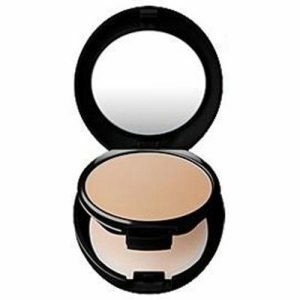 A soft focus powder has been added to give you the radiant glowing skin you would have after getting a facial done. This quality foundation contains T3 Oil, Jojoba Seed Oil, Olive Squalane and Shea Butter​ to treat the skin. This product is similar to Mac's Studio Fix and its amazing. It never accentuates wrinkles or facial flaws as other, lesser foundations may do. It blends beautifully which is why its our number one choice for the best Japanese foundation! Shiseido MAQuillAGE's Dramatic Powdery UV Foundation comes in a beautiful compact. 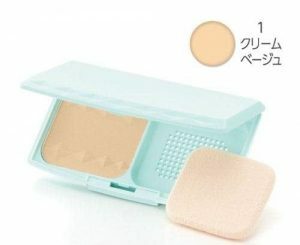 We have a link to the refill for the compact above but you can pick up the compact for pretty cheap here. This is a mousse-type foundation. This is a powdery formula made from beauty essence water with SPF25 and PA++. It gives you a smooth and even skin tone with minimized pores resulting in a very natural finish. It's a great formula that just melts into your skin and applies effortlessly, even on dry skin! We love this foundation because it has 10 hours of lasting power and doesn't look cakey on the skin after extended wear. It also features an omnidirectional light-emitting powder which diffuses the skin and gives it a soft radiance. If you are looking for a quality foundation from a trusted household name brand, this foundation from Shiseido is it! 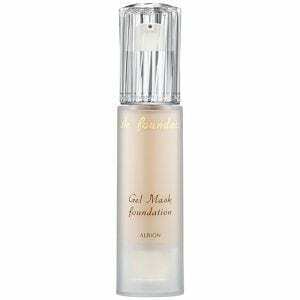 Cezanne's foundation features a long lasting formula that controls oily skin well. Rhodomyrtus tomentosa, Squalane, Chitosan and Hibiscus extract are added to treat and moisturize the skin. This is our favorite bargain Japanese foundation on this list! 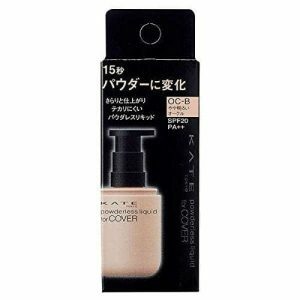 KATE's Powder Less liquid foundation is great for oily and acne prone skin. It's a matte formula with a powder-like finish which feels quite light on the skin. It's cake free even with several layers and with just one layer its virtually weightless. This foundation leaves your skin bright and glowing and its long lasting even in humid Asian climates so it lasts super long in dryer climates! Pair this foundation with a light powder to set it for your skin to last all day. This foundation has a great medium coverage although it is not meant to color correct of fix flaws. 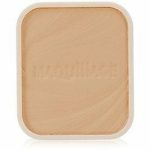 A great concealer applied before this foundation will do the trick! This foundation features SPF20 PA++ and is available in 6 shades. It also contains water soluble collagen to moisturize and treat the skin! Shu Umera is a trusted brand, famous around the world for it's quality products. We love their The Lightbulb UV Compact Foundation. It gives you heavy coverage without dulling the skin and keeping it bright and radiant. This foundation features lightbulb™ oleo-technology and the lightbulb™ pearl to give you a flawless looking complexion without a cakey look. Its SPF 30, PA+++ and comes with a double-sided polishing sponge crafted with over 20 years of know-how. Use the regular side of the cushion to apply the foundation and flip it around the polish and perfect the finish of the foundation on the skin. If you are looking for a quality foundation from a trusted brand, check out this foundation! ​Next up we have Albion's Gel Mask foundation. Its SPF25 PA++ and has a luminous finish. It's a premium foundation that swathes your skin with a hydrating formula with a long lasting, translucent finish. This is an award winning foundation and comes in a luxurious bottle. It's of a creamy gel consistency and you don't even need a primer with this foundation. ​It's not so much a summer foundation, it works much better in the winter. This foundation features a light pleasant fragrance.